Corridori G & A Cinematografica S.r.l. Restoration on an old cathedral reveals dark secrets from the past. When a seal is removed from the basement floor, evil is released once more. A group of colorful characters trapped inside the building and they become subject to the whims and tortures of the trapped evil. 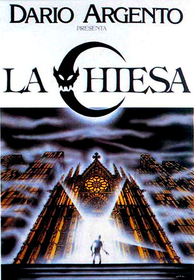 Though originally billed as the third installment of Lamberto Bava and Dario Argento's Demons series, The Church has little but the plot outline to hold it with the other to. Originally based on a novel, the titular Demons never manifest themselves in the ways we come to expect. In fact, the whole second half seems stitched into the first, in order to make it fit with the series. There are no stars, except perhaps a young Asia Argento. The others are all poorly drawn, and share the role of hero, villain, victim, or extra, as the flimsy screenplay demands. Familiar faces abound: Barbra Cupisti (Stage Fright), Tomas Arana, and the ubiquitous Giovani (John Morgern) Radice, but they are never given enough to do. The two principles wander through the back half of the film, almost forgotten by the storyline. It is not all rubbish. There are a handful of set pieces that work: the subway scene, the Bell Tower, and the orgiastic visuals during the literally hellish climax. Similiarly, the score is terrific, featuring Claudio Simonetti and Goblin, Simon Boswell, and Keith Emerson, all playing variations of a percolating Phillip Glass piece. 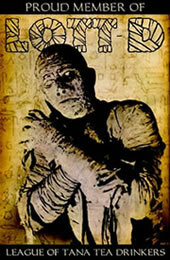 But all in all, there is not enough to recommend the film: it's for Demons and Soavi completists only. The rest need not get stuck in The Church.